The biggest question when going to an event such as this is: Which man-purse am I going to use? Yep, I call it a “man-purse.” Not a satchel or messenger bag. And, yep, I have numerous man-purses. Most of the ones I have came from other countries – a fact I use as a defense if someone gives me lip about it. And they are also different in size and what they can carry. For my trip to SPX I needed to be able to carry a couple of bricks of postcards (for the Jay Kennedy Scholarship and for my personal projects like Infant Fred and Dadding Badly) to leave on the freebie table. (Do I need to explain the freebie table? You’re all intelligent folks, right?) I also wanted to take a couple of Bo Nanas books with me in case I see someone I want to give one to. And, y’know, I might just want to buy some stuff. 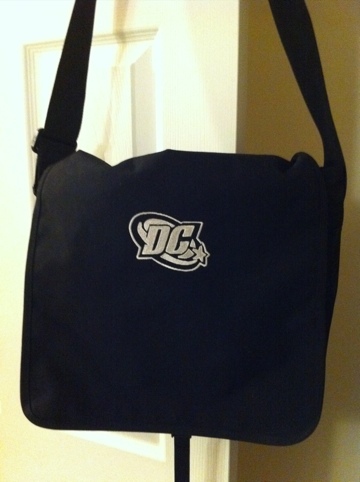 This is a bag I got as a holiday gift from my friends at MAD Magazine, which happens to be owned by DC Comics. The problem is, I don’t want to be “that guy.” (This is along the lines of my abandoned Summer T-shirt Spectacular!! experiment.) I don’t want to look like I’m advertising my comics nerdom. Although I’m not ashamed of it. (Or am I? Hmmm.) That aside, I didn’t want to be wearing the logo of one of the big two mainstream comics companies at an indy comic con and to be secretly sneered at by cooler-than-me hipsters. (Or outwardly sneered at for that matter.) So what to do? 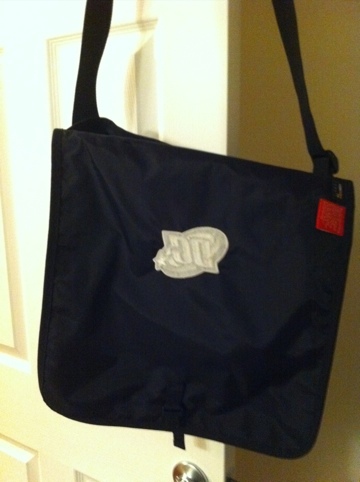 Simple – I’d just wear the man-purse with the logo facing in. The problem is that the logo is on the flap so to get inside you have to maneuver a bit to get it open. To make this easier on myself I figured I’d just leave the flap unflapped, hanging to the outside. After all, this would mean that only the inside of the flap is showing and the logo is on the outside so it can’t be seen…… right? Well, this is what it looked like. So not only was it evident that I was wearing this logo, it was obvious that I was try to hide it. I’ll be at the Ohio State University’s Festival of Cartoon Art for the next couple of days. It’s sold out but I think there are some public events. 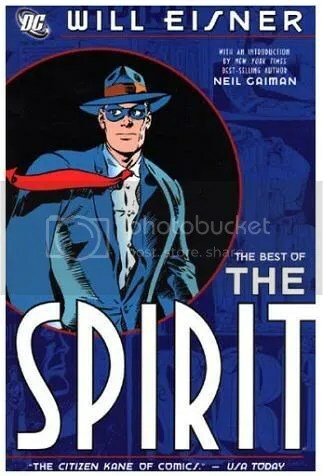 In 1998 Will Eisner spoke at Ohio State University’s Festival of Cartoon Art (it’s October 14-17 – and it’s only every three years – so don’t miss it). During the Q&A a 16-year-old boy stood up and announced that he had skipped school to come hear Eisner talk. That made me feel better about the future. 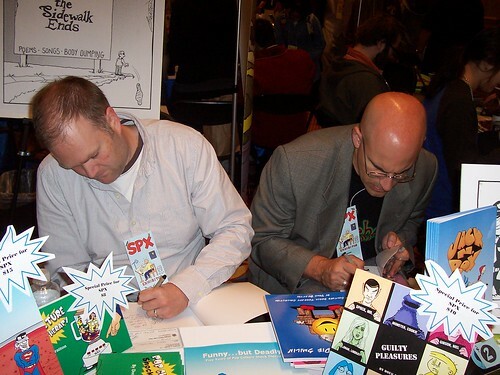 Doug and I bumping elbows while we sign books. Photo courtesy of comics scholar Mike Rhode, from his ComicsDC blog. • My table partner was Doug Bratton of Pop Culture Shock Therapy and we couldn’t have had a nicer time. (And his wife Pam tracked down lunch for us both days. Extra points.) We had a couple of moments of near-disaster as we set up Doug’s jerry-rigged PVC pipe display. It fell over three times. I swear our neighbors started a pool about when it would fall and kill a hipster. • Speaker of hipsters – it looks like handlebar mustaches are making a comback. Can straw boaters and sleeve garters be far behind? 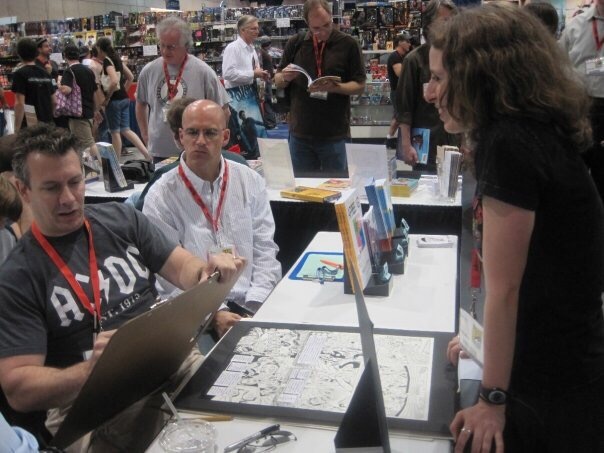 • Got to have dinner with R. (but you can call him “Bob”) Sikoryak and Marek Bennett and finally got to put face-to-name of Chris Mautner (of Robot Six) and Johanna Draper Carlson (of ComicsWorthReading). • I brought a book with me by a certain cartoonist who was a SPX special guest to have it signed for a certain little boy (who occasionally read this blog so I’m being cagey). 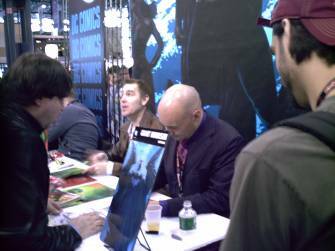 It didn’t seem like the certain cartoonist had any times listed for signing and I didn’t want to be one of “those guys” who stalks a certain cartoonist, then pounces for an autograph. I was bitching about this to Doug when, low and behold, the certain cartoonist came right down our aisle. Case closed.